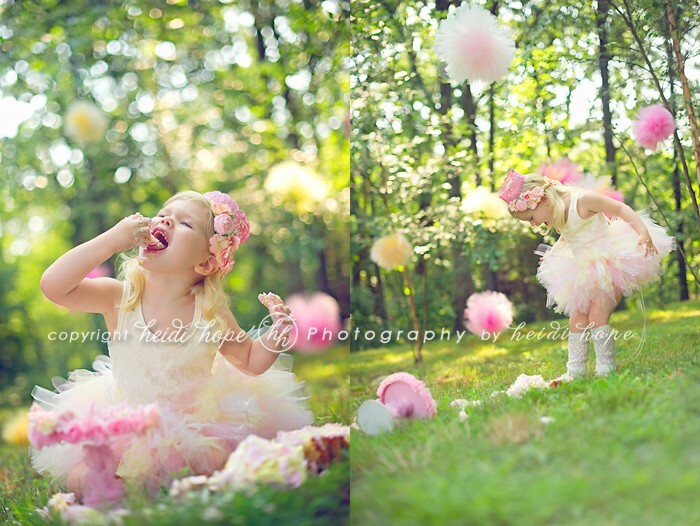 Tips Tuesday: Tulle Ball Tutorial! 1. 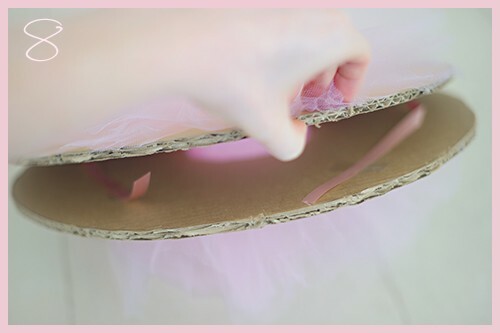 Gather your materials: something to trace (your tulle ball will end up being 1″ smaller than what you trace), cardboard, tulle ribbon (from a craft store), regular ribbon, tape, and scissors. If you have thicker cardboard, you might need a box cutter to cut through it. 2. Trace your object (I picked a newborn prop!) twice, making two large circles. Cut them out of the cardboard. 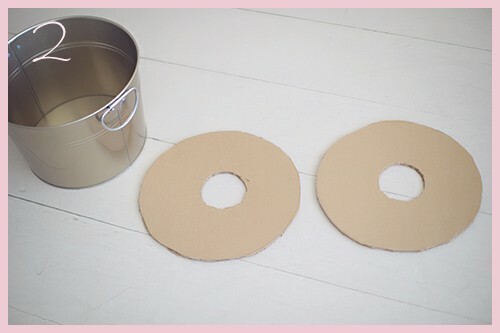 Cut smaller circles (about 2″ diameter) out of the middle, making “doughnuts”. 3. 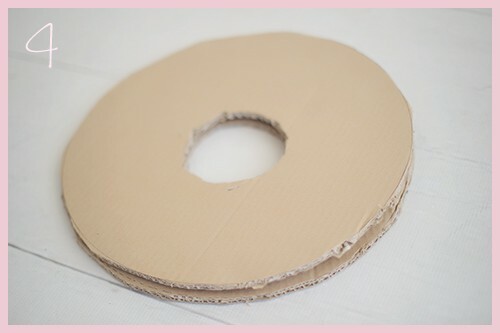 Cut a small piece of ribbon and place it around the middle hole of one of your doughnuts. 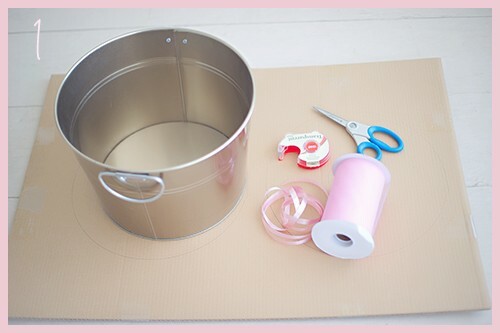 You’ll use this to tie the tulle ball at the end…right now, it just needs to stay put, so tape the ends down lightly. 4. Place the other doughnut on top of the taped ribbon, making a doughnut sandwich! Yum! 5. 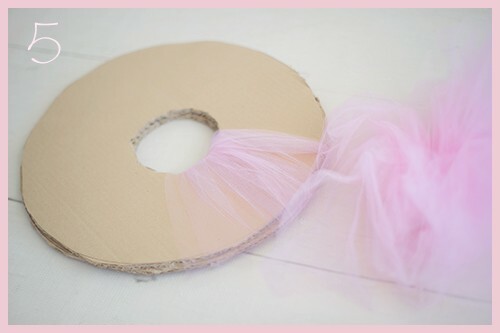 Start wrapping the tulle ribbon through the hole and around the doughnut sandwich. 6. Keep wrapping until the whole sandwich is covered in a single layer of tulle frosting (getting hungry over here). 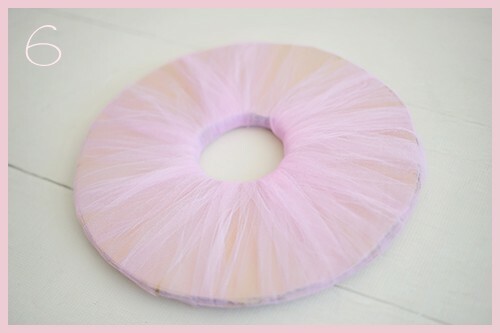 You can double-wrap the tulle if you want a super thick tulle ball, but a single layer is totally fine. 7. 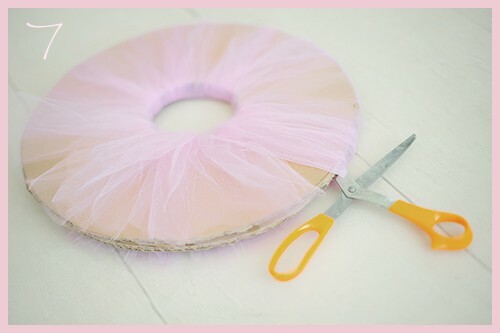 Start cutting the tulle around the outside of the doughnut sandwich. Cut all the way around! 8. 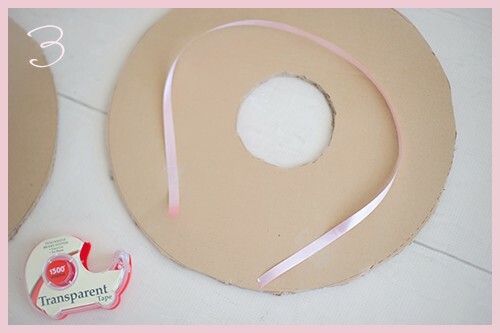 Open up the cardboard to locate the ends of your ribbon. Detach the ribbon from the cardboard. 9. Tie the ribbon tightly around the middle of the tulle. 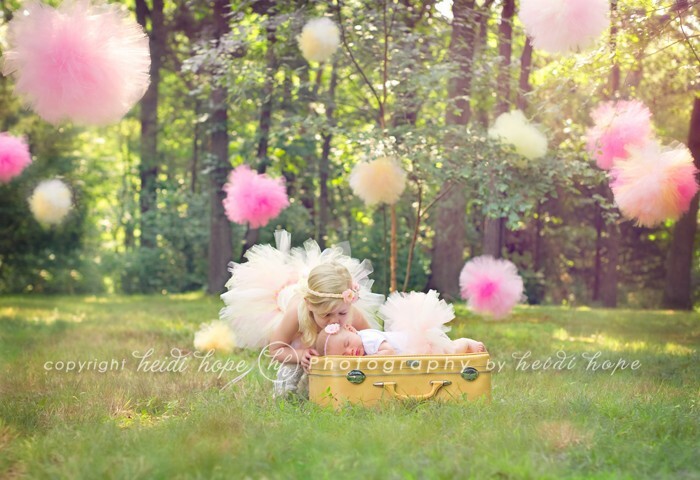 Make sure you’re actually in the middle of it, or you’ll end up with a lopsided tulle ball, which would be sad. 10. 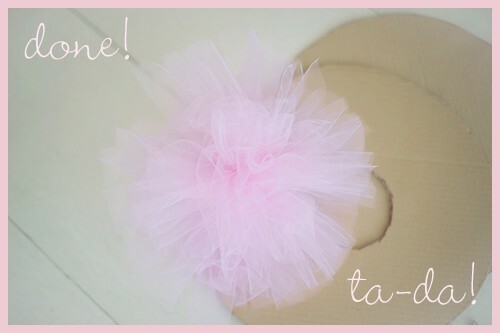 Pull the cardboard off of the tulle, and fluff your tulle ball. You’re done! You can trim the ribbon or keep it long to help with hanging. 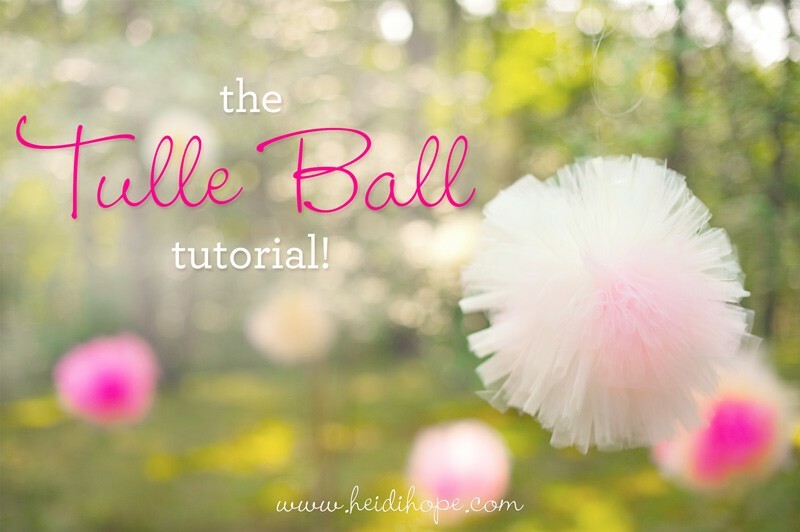 We make these for photo sets and birthday parties, but other people make small ones for cat toys, dish scrubbers, and…whatever else you can think of doing with a tulle ball. Get creative and make them with two different colors, or different fabric!